Weekend is the awaited time by everyone. Each person has its own agenda to take advantage of the free time. During this time, adventurous of foreign tourists and domestic tourists who travel to the island of Flores always heading to the Komodo National Park, in West Manggarai regency, the Nature Park of 17 Islands Riung in Ngada, and National Park of Flores to see the wonders of the lake three colors in craters eruption volcano. In addition, if travelers visit the uniqueness beach, tourists can visit the "pink beach" in Komodo National Park, and also white sandy beach in the area of ​​the Nature Park of 17 Islands Riung that are in the top 10 Most Beautiful Beaches in Southeast Asia. In addition to Nature Park of 17 Islands Riung, there are also white sandy beaches around the field of Savana Mausui in East Manggarai Regency, white sandy beaches in Ende, white sandy beaches in Lembata, East Flores and Alor Island. But, not so many tourists who know the beauty of the Rii Taa Island, coastal island of white sand mixed with pink in the Nagekeo District. 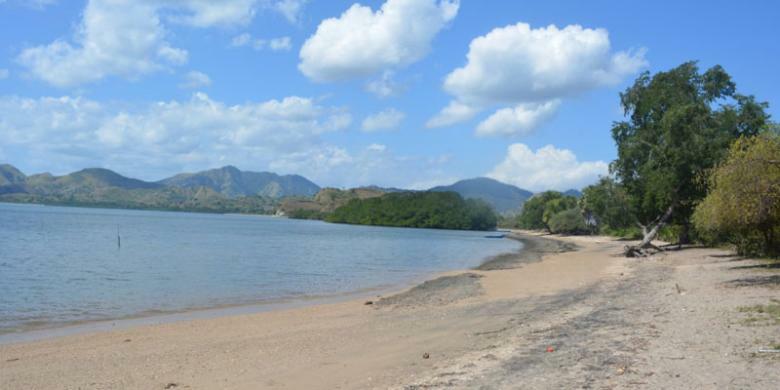 In one of nine districts on the island of Flores, East Nusa Tenggara has a white sandy beach. It is the uniqueness and richness of tourism in the province of East Nusa Tenggara. Taa Rii Island in the village of Tonggurambang, Aesesa, Nagekeo District, Flores, East Nusa Tenggara. Nagekeo District has many interesting attractions. One place that quite interesting today is a tourist attraction of white sandy beach of Rii Taa Island. Rii Taa Island is unique because it offers a panorama of the island which is only filled with white sand. Even Rii Taa Island is in the middle of the sea. The size of the island when the tide is only about 30 square meters. But if low tide, the island is the extent to 20 hectares. The location of this island is separated from the mainland Mbay, the district capital of Nagekeo. 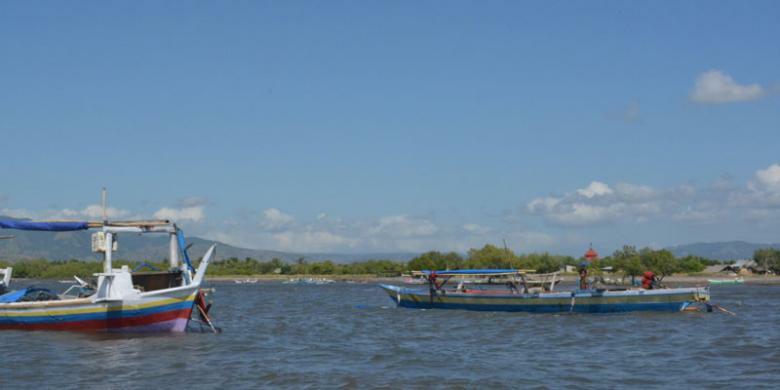 By boat belonging to the fishermen, Rii Taa Island can be reached by less than 1 hour from Maropokot Port. The last years, the local people was very interested in visiting this location just to relax. Even during long holidays and vacations religious, local residents and domestic people always visit this island for bathing or sunbathing. Even, foreign tourists also begin to visit the beautiful island with white sand. It is suitable for sunbathing in the morning or in the afternoon. Since being promoted by Nagekeo District Government in 2010, Rii Taa Island is visited by tourists every week and holidays. They just come to bask in the sun, none of shade in place. Travelers can rent a boat to this island by paying 200,000 Rupiah to go home. Travel to White Sand Rii Taa Island is started from Mbay District heading to Marapokot Port. Travelers who come in groups or alone adventurous can rent boats owned by fishermen in Maropokot. There are two paths to get to the island. First, for tourists from the East Flores, you can turn at the junction of Aegela to the town of Mbay. Second, the rating may be through the North Coast of Sikka. The traveler can pass through the expanse of savanna along the North Beach, towards Ende District. Likewise from the western Flores, tourists can traverse the two channels, namely the first lane, passing through the country, which is in the middle way past the Manggarai District, East Manggarai and Ngada. The road condition is very good central state. The second track, crossing the northern part of the country, passing through Reo, Pota, Pufferfish, Regional Natural Park of 17 Islands Riung and heading to Mbay District.